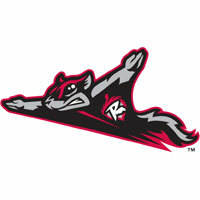 Four Richmond hurlers combined as the Flying Squirrels (69-68) blanked the Reading Fightin Phils (59-78), 1-0, at FirstEnergy Stadium on Wednesday night. The shutout was the league-leading 15th of the year for the Squirrels. With the win the Squirrels remain alive in the Western Division post-season race, now trailing Erie by 3 ½ games. Richmond has five games remaining. Reading lefty Jesse Biddle walked Kelby Tomlinson, the first batter of the ballgame. Skyler Stromsmoe followed and yanked Biddle’s first pitch into the left-field corner. An out later, Adam Duvall grounded out and brought Tomlinson home for a 1-0 lead. The double for Stromsmoe was the only hit Biddle (5-14) allowed on the night. However, the night was a short one as Biddle walked seven and departed after just three innings. He struck out four and took his league-leading 14th defeat of the year. Richmond left-hander Ryan Bradley made a spot-start and turned in a strong four-inning performance. He did not allow a run on three hits, departing before becoming eligible for the win. The finale of the four-game series is scheduled for 7:05 p.m. at FirstEnergy Stadium on Thursday night. Richmond LHP Chris Gloor (9-7, 3.87) will make the start against RHP Perci Garner (0-0, 1.93). The Flying Squirrels Pregame Warmup will begin on Sports Radio 910, www.sportsradio910.com and IHeart Radio at 6:35 p.m.